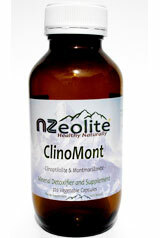 Welcome to NZeolite, New Zealand’s specialist in Zeolite and Bentonite products for your detoxification, health and well-being. 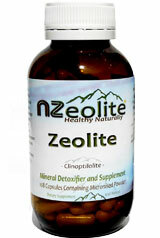 NZeolite's new Activated Zeolite Cinoptilolite is especially powerful for safely removing heavy metals, toxins and undesirable organic compounds. Activation enlarges the surface area of the Zeolite molecule, giving a greater therapeutic benefit to each product. Activated Zeolite is not absorbed into the bloodstream, but does its work electrostatically from the intestinal wall before being expelled in the usual way, so it is a very safe supplement to take. If you want to know more about Zeolite and its many uses and benefits, browse through this website where you find much more information. 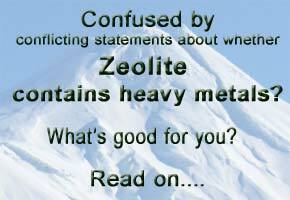 Below you find an overview over the range of NZeolite products available. Simply click on the product images to get further information about specific products. Detoxify and supplement yourself or your entire family with our economical 500g packs. Pharmaceutical grade natural healing powder suitable as a detox aid for the whole family. Prefer to take capsules rather than powder mixed with water? Well, you can! Cleanse, rejuvenate & nourish your skin with a refreshing NZeo Mask. Specially formulated mineral and herbal powder blend for optimal liver and bowel support. For more information on detoxing and our Zeolite products we suggest you visit the Tina Pritchard website. Copyright (c) 2016 NZeolite. All rights reserved.